One never forgets that great love. 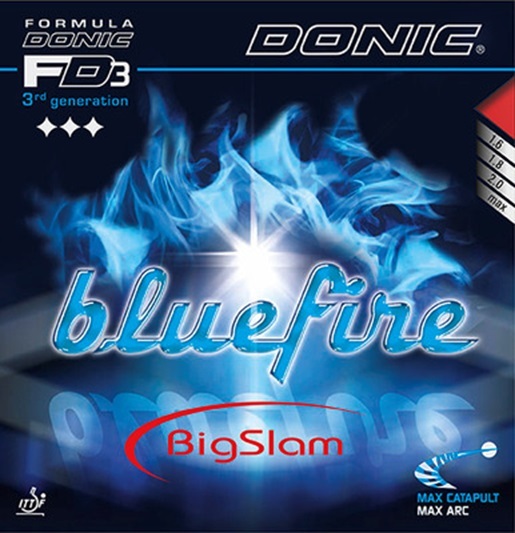 For all those who loved and have never forgotten the sound of the old speed glue times, there is now the new Bluefire Big Slam. This extremely soft blue sponge produces more sound - it really tocks! Added to this is a high grade grippy and spinny top surface rubber of the Bluefire series: The perfect combination. This rubber is now available in maximum, 2.0 and 1.8 mm thickness and additionally in 1.6 mm. This gives you even more control - and an earful to your opponent.